A natural beekeeper always has the wellbeing of their bees at the front of their mind. This involves making sure the bees in the hive have sufficient water, and food, and that this food is easily accessible. Adult bees forage on the nectar and pollen of flowers, converting this into honey inside the hive; honey bee larvae eat this honey. Interestingly, while the queen is raising her colony, she often builds a tiny wax pot close to the brood cells where she stores nectar to sustain her whilst she incubates her eggs. However, what happens when food supplies run low? As the cooler weather creeps in, flower supplies can diminish, and it becomes more and more important that the natural beekeeper finds ways to help their bees survive. This transition or survival through the cooler months is known as ‘overwintering’. Even with the best planning and intentions, there are times when bees might need food from the beekeeper. 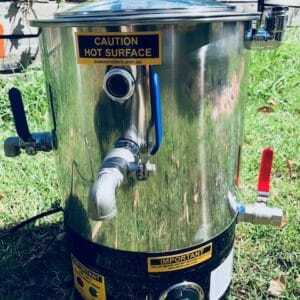 If you manage your hives well and are diligent to leave enough honey for the bees to make it through the winter or better yet, wait until spring to harvest any honey, you shouldn’t have to feed your bees at all. However, there are times when your bees might need a back-up supply of food. 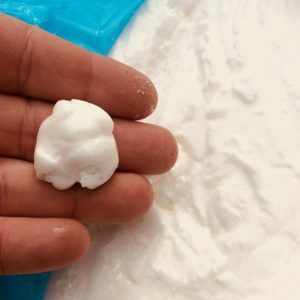 There are a few products that can be used—such as sugar syrup—however there are some downfalls with these products. These liquid foods are messy, tend to attract more wasps, are more likely to ferment and encourage the bees to eat quickly. At Ben’s Bees, however, we recommend the use of a feeding fondant for your colony. 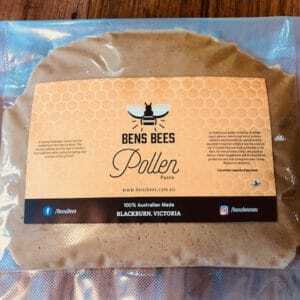 Ben’s Bees Fondant is made by supersaturating water with sucrose and glucose. More than twice as much sugar will dissolve in boiling water as will at room temperature. After the sucrose is dissolved, and the solution is left to cool undisturbed, the sugar will remain dissolved in a supersaturated solution until nucleation occurs. While the solution is supersaturated, if a seed crystal (undissolved sucrose) falls into the mix, or if the solution is agitated, the dissolved sucrose crystallizes to form large, crunchy crystals (which is how rock candy is made). 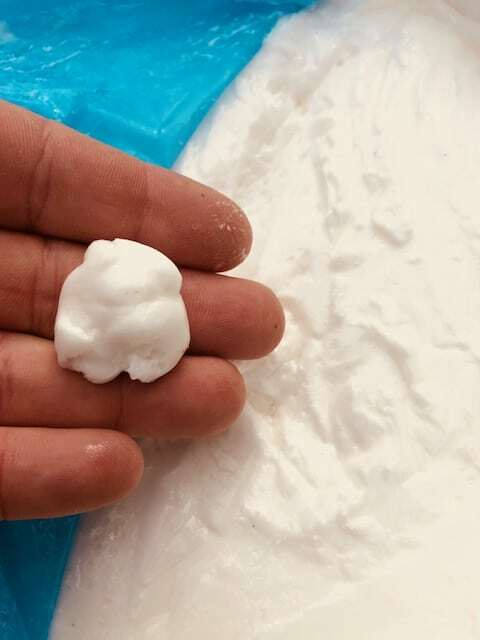 However, if the solution is left to cool, undisturbed, and then stirred vigorously, it forms many tiny crystals resulting in a smooth textured fondant which is perfect for the bees to eat and use during times when food is scarcer. 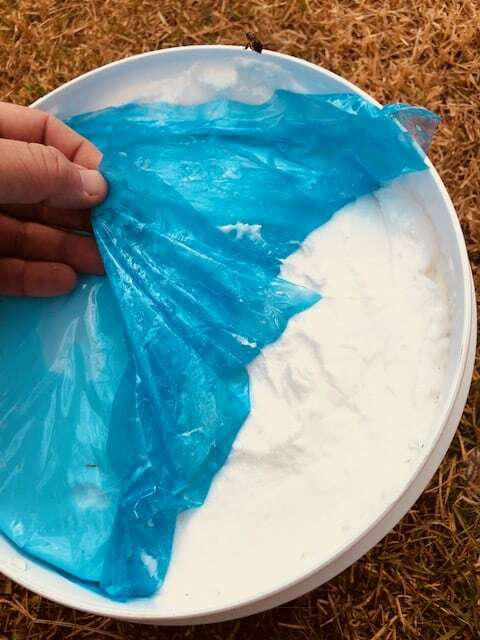 As the fondant is a super saturation of sugars it will not go off in the hive, and the bees are able to eat it as they wish; this eliminates the issue of the previously mentioned liquid substitutes that encourage the bees to consume it straight away. Your bees can even store it in the cells for further use as they usually do with honey. Using Ben’s Bees Fondant is simple, and there is no need for any extra equipment like frame feeders to feed the bees the sugary substance. It can simply be placed under the lid or on top of the frames. As sugar syrup is in a liquid form it is likely to ferment which can give the bees dysentery and even make the colony sick. 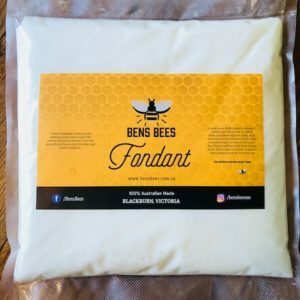 Ben’s Bees Fondant comes in 15kg buckets which is usually more than enough to get a colony through winter. Whilst this mixture is more expensive than sugar, no preparation is required, no equipment is needed and only two to three large feeds in autumn is enough to assure your colony will make it through the upcoming winter happy, healthy and productive.